This single-story ranch style home delights with original hardwood floors, plenty of natural light, and a flowing floorplan. Set back from the street, the home features a large front lawn in addition to the fenced backyard. 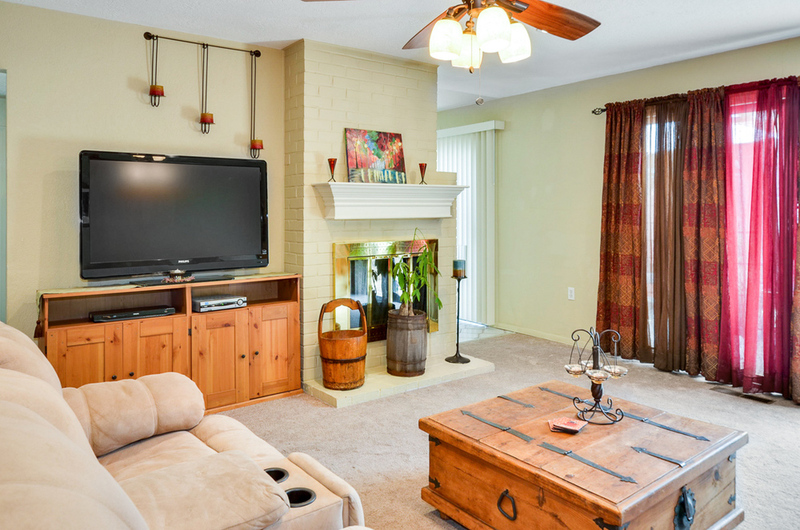 The living room boasts sliding glass doors and recess lighting. The brick wood burning fireplace is dual ended, allowing for enjoyment in the living room as well as the kitchen. In the kitchen, find an abundance of cupboard space and another entrance through sliding doors to the backyard. The master bedroom features an en-suite bathroom, dual mirrored closets, and a built in armoire. 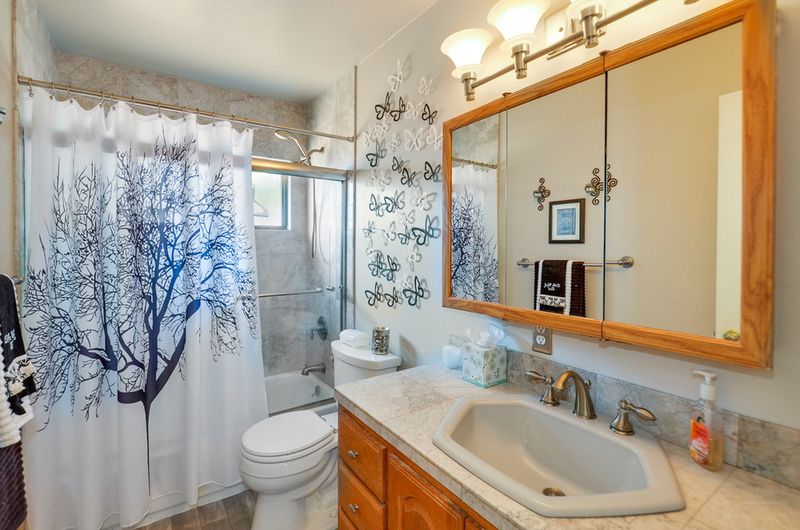 The attractive remodeled master bath presents a dark granite vanity and charming tile design in the stall shower. In the hall find extra counter, cupboard, and closet storage space. Each bedroom has its own distinct characters, such as the second bedroom’s wainscoting. 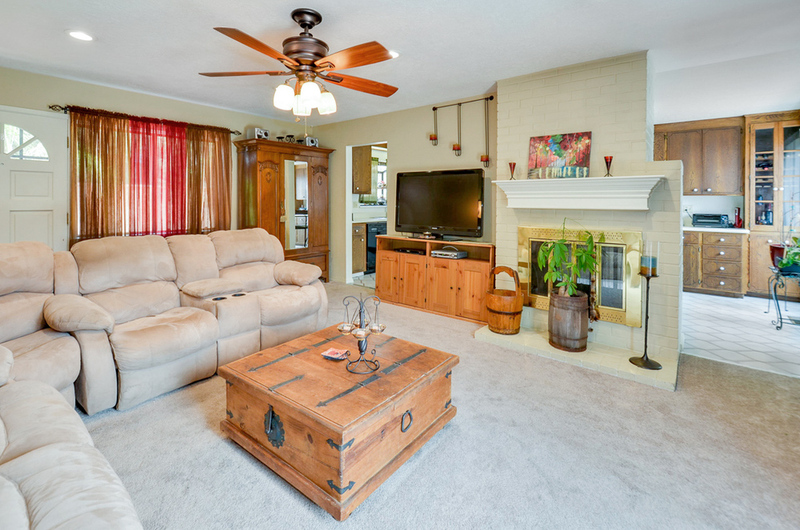 Enjoy the sunshine in the L shaped backyard, ripe with potential for outdoor entertaining!